A church community is made stronger by the individuals within it. If you are religious, you may spend a great deal of time in a place of worship. You might go there weekly, or perhaps even more often. 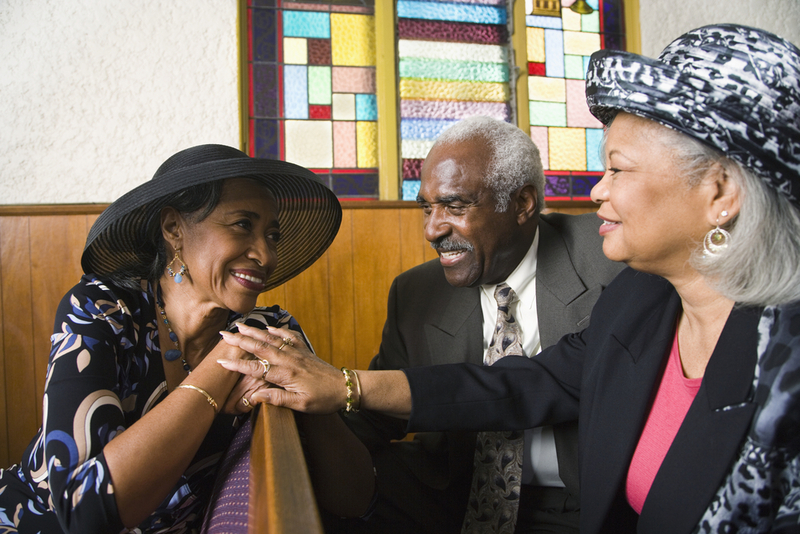 Places of worship can be a great place to pray, learn, and meet up with other members of your church. If you are at a church you love, then you might be wondering what you can do to help it grow. The good news is, there are many things you can do to help your church grow and thrive. Here are a few of the many ways you can help. Your church likely has several classes that go on during the week. It may be a children’s service during the weekly sermon or a class for adults that meets once a week. See if you get can get involved by volunteering to teach a class. If being head teacher sounds too daunting, perhaps you could be an assistant. Assistants are often needed, especially in children’s classes. You have probably heard the saying “many hands make light work.” This means that the more people help, the less work each person has to do. This certainly applies here. Besides, you may find that you really enjoy working in the children’s room once a month. After all, who doesn’t love helping to guide young minds? Nervousness when first walking in, especially if you don’t know anyone. Confusion – not knowing where things are and the layout of the church. Hopefulness – you likely had an idea of what you wanted in a church, and were hoping to find it. This is why it is so important to have excellent greeters in your church. Greeters might have different responsibilities. For example, one may open the door for anyone who comes in and say hello, while another may be in charge of a table set up with information for first-time members. Even if you aren’t an overly social person, this can be a great opportunity for you to help the community grow. When someone has a baby, is mourning a death, or going through a life crisis, it can be incredibly helpful to have a meal brought to them. If you know of a single mom who has been sick with the flu, let her know you would like to bring her and her children a meal and ask if there are any preferences or food allergies. Better yet, organize a meal train so she will receive a freshly cooked meal every night of the week. You don’t have to be an amazing cook to offer to do this. If you aren’t comfortable with your cooking skills, you can simply be the organizer and offer to deliver the meals if needed. Most of the time, church members do most of the cleaning themselves. This often means meeting on a day every week to empty the trash cans, vacuum, disinfect the toys, and clean the bathrooms. When only one or two people are assigned to the job, it can take a long time. But, once again, many hands make light work. See if you can offer an hour of your time once a week to go help with church clean up – it can have a huge impact. If you have a lot of extra time on your hands, you can offer to give people rides to doctor’s appointments, church, work, and the grocery store. You might be surprised at how much this might bless someone. It may give you an opportunity to make a new friend as well. As you can see, there are many ways you can help your church. Almost anyone can help in some way, so don’t be afraid to jump in and do what you can to help your church grow and thrive. im just starting still working on getting up the money for my certificates so i can gor to the county and register then my church I no God wiil send me an angle to take care of everything. Im just starting still working on getting up the money for my certificates so i can go to the county and register then my church I no God wiil send me an angle to help take care of everything amen! wondering where to go to get my chucrh started. Do not know exactly where to go register my church in Missouri?? ?.